This article is Part 2 in a two-part series on concerns with Polyunsaturated Vegetable Oils. Part 1 can be read here. For example, cardioleptin is a phospholipid component found in the inner mitochondrial membrane, which is where all energy metabolism in our body occurs. Cardioleptin plays an important role in the function of several enzymes involved in mitochondrial energy metabolism. 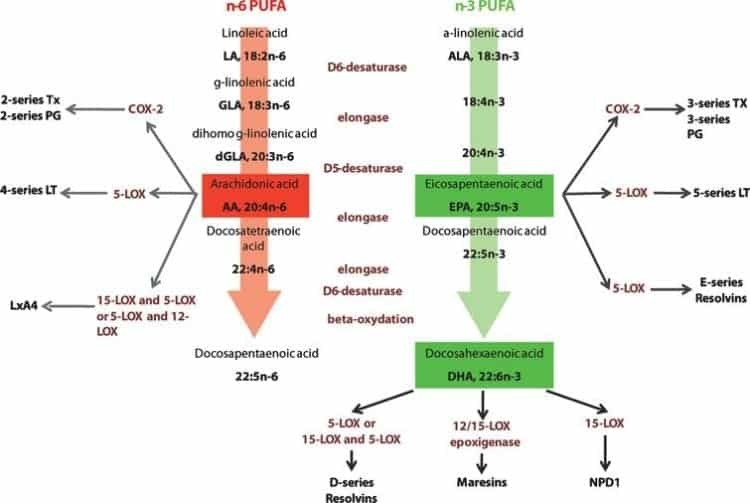 When we eat a lot of pre-made and processed foods and food made in fast-food restaurants, cardioleptin’s fatty acid content becomes 90% linoleic acid, making it easily oxidized, affecting its function. 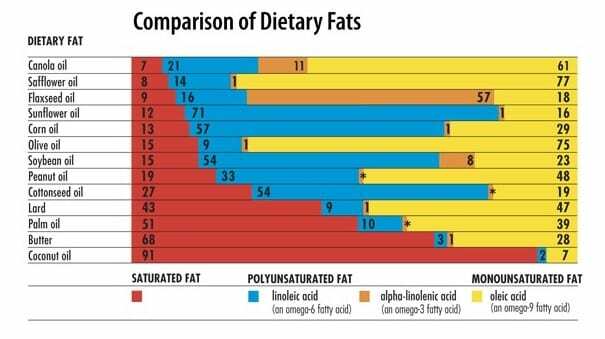 If the diet is high in coconut oil and olive oil, cardioleptin will be higher in stearic and oleic acids and these fats are more stable fats than linoleic acid. 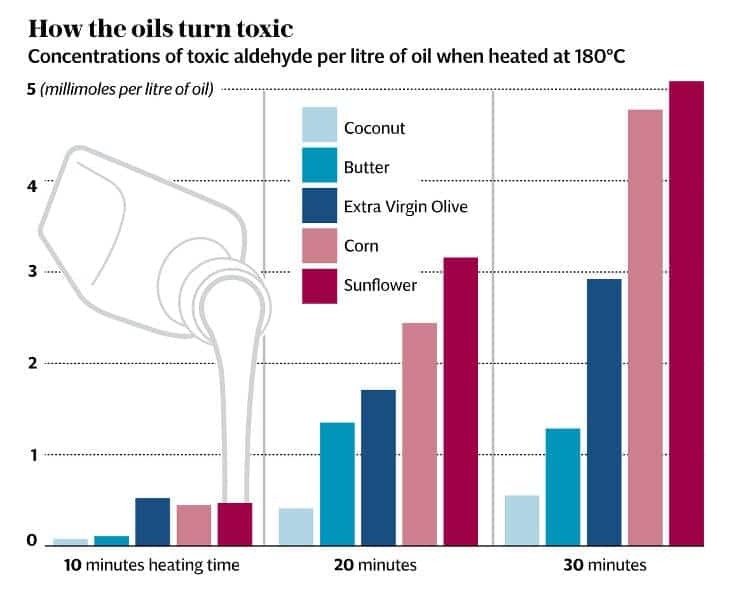 Heating polyunsaturated vegetable oils for just 20 minutes produces 20 times the permitted levels of ldehydes recommended as a maximum limit by the World Health Organization .